A Lancaster businessman who was part of an organised crime network targeting cash-strapped public bodies and ripping off taxpayers has been jailed. Imtiaz Khoda, 44, of Dallas Road, Lancaster, was one of 10 criminals who took part in what was described as an audacious “high-stakes” criminal conspiracy which defrauded NHS hospitals, councils and the Guernsey government out of £12.6 million, and funnelled cash overseas. He has been sentenced to 54 months in jail for money laundering and is also disqualified from being a director for five years. 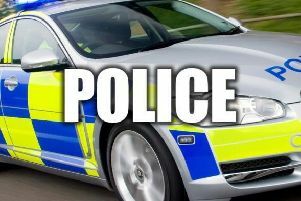 The organised crime scheme investigated by Lincolnshire Police since 2011 had the potential to have siphoned off £20m into the criminals’ accounts mainly at the taxpayers’ expense. But the schemers were rumbled when a Lincoln-based NHS hospital raised the alarm, sparking a probe by detectives from Lincolnshire Police which led them to uncover a “seamless process” of fraud and money laundering spanning the UK, but Europe, Africa and the Middle East. The case can only now be reported after reporting restrictions were lifted. The conspiracy’s “trusted lieutenant” Stephen Tyndale, 47, of Albany Road, Southwark, London, was jailed for 10 years, for conspiracy to defraud and conspiracy to launder money. Asif Habib, 53, of Al Barsha, Dubai, Abdul Naeem, 36, of Lineholt Close, Redditch, Worcestershire, and his brother Mohammed Nadeem, 33, also of Redditch, were convicted of conspiring to launder the dirty cash. Habib was jailed for 40 months, and the brothers for 67 months each. Given suspended jail terms for laundering were Yagnesh Patel, 46, of Rookery Road, Staines, Surrey; 15 months, Zaheed Muhammed, 48, of Tinto Road, Glasgow; 21 months, and Abdul Ghaffar, 68, of Lineholt Close, Redditch; 22 weeks. Tariq Khan, 35, of Meadway, Ilford, Essex, was jailed for eight months and ordered to repay £20,000 to the Lincolnshire NHS trust after admitting perverting the course of justice by supplying false documents to police. Father-of-seven Oghogho Ehanire, 42, of Brackenbury Road, Preston, was jailed for 12 months suspended for two years for laundering and was given 210 hours of unpaid work. Monica Thomson, 40, of Ivy Way, Airdrie, North Lanarkshire, will be sentenced for her part in the conspiracy next month. John Woodhatch, then 56, and Adrian Taylor, 44, were previously jailed for a total of 11 years at Southwark Crown Court in September 2015, for money laundering and acquiring criminal property. The “prime-mover”, identified in court as Nigerian national Bayo Awonorin, is still at large, having failed to answer to police bail. Sue Frith, CEO (Interim), NHS Counter Fraud Agency and Managing Director, from NHS Protect, said: “The collaborative work NHS Protect does with other agencies is vital in tackling fraud against the health service. “We urge anyone who suspects fraud against the NHS to report it to our Fraud and Corruption Reporting Line 0800 028 4060.
nA business studies graduate, Khoda founded a company called the Profile Group in 2003 and was its chief executive and managing partner. He previously worked as a sales consultant for the Dell computer firm. At one time he also held directorships with Profile Capital, Jabbar Morocco Fund, ProDefine, Sigrun Holdings Limited, Leisure Canada Inc. and Tribhuvan Housing Limited. Khoda previously courted controversy with his involvement in a scheme in Dubai called The World – 300 man-made islands off the coast of Dubai. Profile Group sought investment in part of this scheme called Jasmine Garden – a five-star resort with luxury four-bedroomed water villas on stilts and lounges that open up on to the sea. Businesses claimed they had invested six-figure sums in the project through Profile Group but never got their money back. Speaking to The Daily Mail in 2010, Khoda said his firm had done nothing illegal and were not in a position to return the cash. In 2012 he told the Emirates 24/7 website that the project was “on hold” and investors were promised a full refund by 2015.